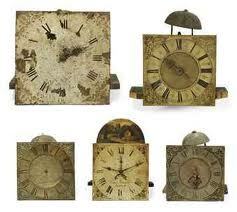 In the U.S. one’s ability of finding clock repair technicians to service movements is common. Most have either little or no training at all. They learned their skills, good or bad from hanging around a clockmakers shop off and on over the years. In general they are able to get mechanisms running sometimes in jury-rigged fashion and also having no regard for maintaining the consistency of brass surfaces or excess removal. Many trained clockmakers in the states, although some having gone through a training program are not used to working on English, French or more sophisticated mechanisms and those with ancillary trains.